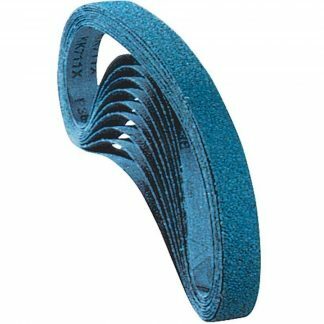 • Tool includes 11206 Contact Arm for 3/4" wide x 18" long abrasive belts. • Lightweight, ergonomic 7 degree offset design. Grinding head pivots 360 degrees for securing in most efficient position. 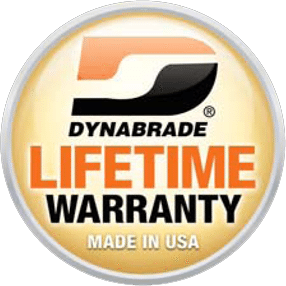 The Dynabrade 40320 Dynafile II Abrasive Belt Tool, Non-Vacuum is a Dynabrade tool within the Dynafile II category of tooling range. 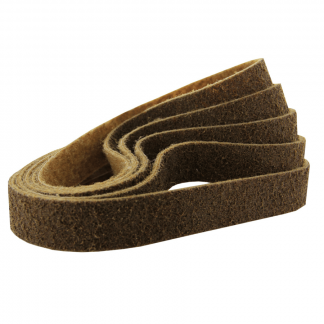 Coated abrasives and surface conditioning material Belts of 16x457mm, 19x457mm can be used which can also be supplied by DynaShop. A Non-Vacuum tool with a maximum RPM of 20000, a power rating (hp/W) of 0.5 (373) with a weight of 1.27kg. Contact arms are able to extend the capabilities of your Dynabrade 40320 Dynafile II Abrasive Belt Tool, Non-Vacuum as each arm is capable of carrying out a variety of different tasks. Contact arms can make difficult to reach areas easier to access and can also be used for specific purposes such as corner weld removal, strap polishing on tubes, seam removal on pipes or deburring edges. A number of contact arms also have platen pads for flat filing, which can be purchased and replaced when worn. Please complete the form below to arrange a tool demonstration for the Dynabrade 40320 Dynafile II Abrasive Belt Tool, Non-Vacuum or any of the Dynabrade range of tooling. Alternatively please call us on 01273 468736. Vibration readings for the Dynabrade 40320 Dynafile II Abrasive Belt Tool, Non-Vacuum are dependent on a number of factors that include the abrasive being used, the job in hand and operator experience. DynaShop or Dynabrade cannot be held responsible for the consequences of using the listed values for risk assessment, rather than actual values unique to each situation. Simply fill out the form below and the vibration data for the Dynabrade 40320 Dynafile II Abrasive Belt Tool, Non-Vacuum will be sent to your email automatically.